Mastervolt was chosen as the official electrical supplier to the race because of its integrated, technologically advanced systems and rugged components that can handle the abusive conditions of this around the world race. Throughout the race, the systems have provided the reliability that the racers require. 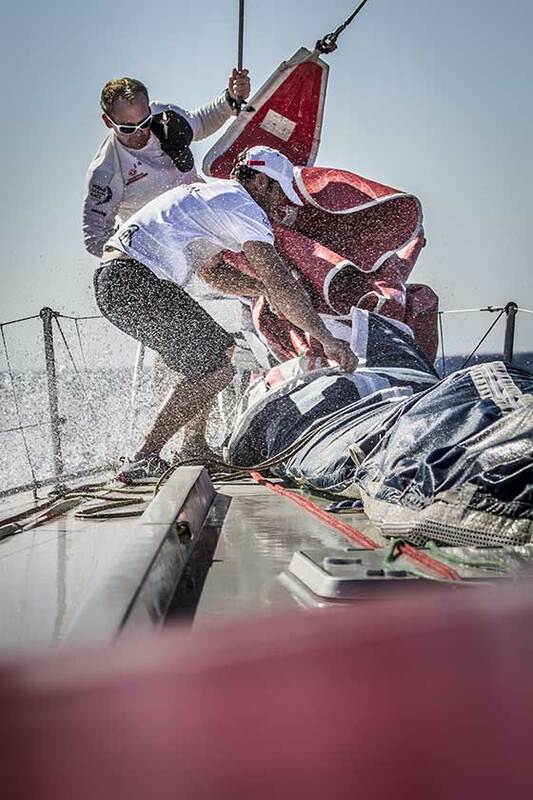 'Wet' is how we can safely describe the state onboard the fleet at the moment," reports the correspondent on the 65ft boat, Donfeng Race Team. "We're blasting east in a washing machine." 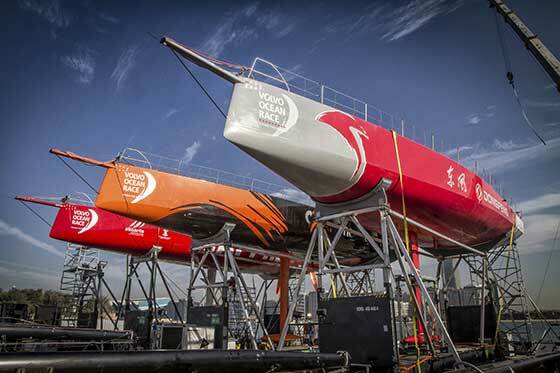 As the Volvo Ocean Race battles on, engineers from Mastervolt have continued to monitor electrical performance. Each power generation system has stood up to the brutal conditions including a hot, spray-laden atmosphere, heavy condensation, and sudden impacts. "Sailing an offshore, one-design vessel is like riding a roller-coaster," crewman Francisco Vignale has blogged. "It shakes you up and turns you over, and when you think you've got everything under control, it throws you down the slope at 200 km per hour." "During Leg 1, we noticed that a few of the teams could optimize their use of the technology," remarked Mastervolt's Dennis de Beer, who has monitored and checked the systems at each port. "Many of the sailors have spent years racing vessels that have traditional electrical components. The move to an integrated system that optimizes power management took time for them to become accustomed to and to learn all of the features available to them". At each stopover, Mastervolt engineers draw valuable data from the system for analysis. Being cautious of not to share ‘power tactics' between competitors, advise each crew how to get the best from the short recharging cycles and the features of the onboard system. "During the first service schedule at Cape Town, all of the teams were very impressed with the equipment," de Beer reports. "We had virtually no issues, and spent most of our time simply tweaking the systems. The main request was to remove the audible alarm for the charge sequence, as this could wake any sleeping off-watch crew." The improvements worked, and Leg 2 went without a hitch. "Despite the extremely challenging environment, with high ambient temperatures, little or no wind, and very high humidity, all the teams were happy," de Beer said. "These conditions put a huge strain on power equipment, especially as most standard components will start shutting down or de-rating once the temperature nudges 400C. At Mastervolt, we design components to cope with these extremes, and they really proved themselves on this leg." "Every Volvo Ocean 65 has minimal cabling," de Beer explained. "We have an NMEA 2000 backbone that utilizes 2-4 way tee connectors that join all of the modules/nodes to the network. This provides a reliable, power network with very short cable runs between the CZone digital switching module and the device. The majority of the system is located in the middle of the vessel, which keeps wire runs short and allows for easy servicing. Every electrical circuit is managed through our Mastervolt CZone Digital Switching Technology Platform. The CZone system provides resilience and redundancy as it runs 24/7, and all the critical systems rely on its ‘up time'. Everything, from the canting keel pump, water ballast pumps, water makers, media desk and satellite communications need power for continuous operation." Circuits are monitored and controlled by our CZone display interface or two onboard B&G multi-functional displays. Charging comes from multiple sources including the main Volvo-powered engine, with a limited fuel supply to minimize weight and the Mastervolt alternators. "As a general rule, the teams are going through two charge cycles every 24 hours," de Beer said. "Each cycle supplies roughly 260Ah of capacity to the Li-Ion Ultra batteries at 24V. The two Mastervolt Alternators produce 300A at 28.5 Volts, which recharge the Li-Ion Ultra batteries very quickly. Mastervolt will continue to analyse the data from the systems at each stopover, as well as checking crucial components and connections in extreme ‘wet' areas of the boat, but so far, each system has performed exactly as expected. "A Mastervolt system, like the one on the Volvo Ocean 65, one design vessels, consists of standard Mastervolt products and is therefore available for every application. Anyone thinking about installing such a system can go to the application engineers of Mastervolt," de Beer advises. "Our engineering and application team are the very best in the business and will provide you with a robust and reliable system that will keep you safe, and protect your investment for many years to come. Volvo Ocean Race could have used any manufacturer for this project, but partnered with us because we can deliver the systems, support and redundancy that will get these boats around the world and to the finish line."